From Registrar to Professional Development Associate, Anastacia Galloway Reed has served Eagle Rock School & Professional Development Center in a variety of capacities since 2011. From 2013 – 2018 Anastacia lived on campus serving as a houseparent providing as a residential support for students. 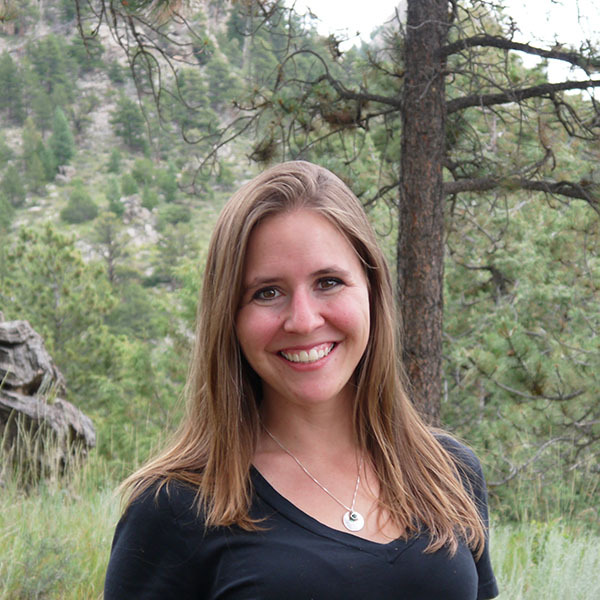 Combining science, elements of project-based learning & place-based education, Anastacia has co-taught classes that expose students to fly fishing, backcountry skiing, and Rocky Mountain National Park. Traveling across the country Anastacia supports organizations like School Reform Initiative and the Jefferson County Education Service Center. As a Professional Development Associate, Anastacia maintains a diverse portfolio of clients across the country who are implementing something they believe will make school more engaging for their youth. Anastacia’s experience ranges from supporting initiatives such as implementing project-based learning across a school district, building a culture of trust and collaboration within a staff, developing literacy across the curriculum, creating a trauma-informed pedagogy, crafting a new set of metrics for school evaluation that was eventually adopted in the state of New Mexico, and designing teacher curriculum “boot camps” for new practitioners. Strengths-based leadership, asset-based facilitation, appreciative interviews, asset-based observations, mapping systems, Improvement Science processes, leveraging project management tools, principles of Critical Friendship, and embodied leadership are some of the many tools & skills Anastacia has honed throughout the years Nationally, Anastacia has worked with school & district leadership on school reform & organization change including facilitating workshops at national conferences for organization such as School Reform Initiative, Coalition of Essential Schools, and Big Picture Learning while also supporting change initiatives in New York, New Mexico, Ohio, California, Colorado, Texas, Massachusetts, North Carolina, Oregon, Arizona & Georgia. I really love that every day I use my strengths to make a long-term contribution to a bigger picture — re-imagining education in our country. My rock is my family -they keep me grounded & constantly remind me not to take myself so seriously.